In contrast to other civilisations of the ancient world such as those of the Mediterranean or SE Asia, Mesoamerican cultures are not particularly well known for their maritime history or naval architecture. 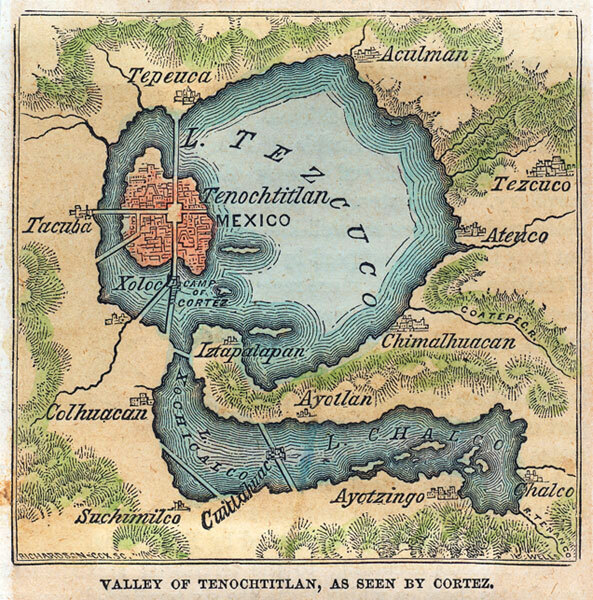 Nevertheless, it was vital for two famous lakeside cities in the pre-Hispanic world, Tayasal (Maya) and Tenochtitlan-Tlatelolco (Mexica), to exert strict and complex management and control of their aquatic environment in order for them to establish their prosperity. 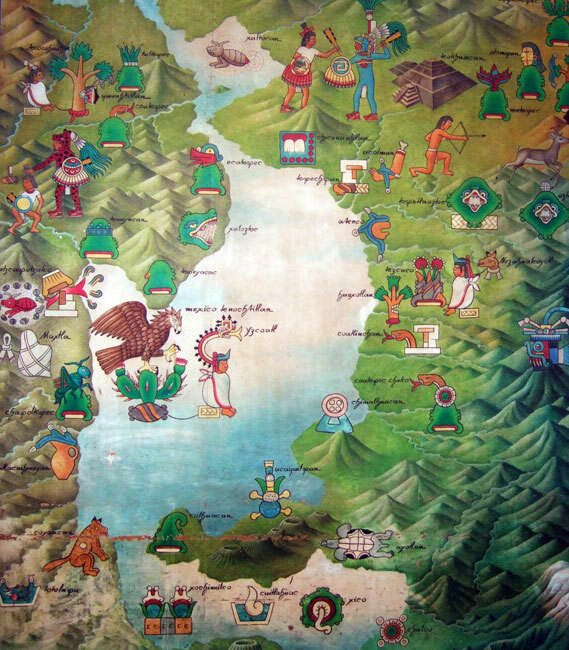 It was precisely because of its location that Cortés, en route to Honduras in 1521, came up against Tayasal’s excellent defense system, that allowed it to hold out against the Conquistadors for some considerable time. We owe the first in-depth studies of Mesoamerican navigation to the British archaeologist Norman Hammond in the 1980s, who focused largely on the transportation of goods and traffic along the entire coastline of the Gulf of Mexico and the Yucatán Peninsula. Historical sources show us that, alongside maritime navigation studied by Hammond, another very important form of navigation existed, that of rivers and lakes. Unfortunately, few researchers have taken interest in these freshwater examples, even though numerous writers have confirmed that they favoured the development of highly complex social structures. Indeed it is in the centre of the closed-water basins of Mexico’s central plateaux that we see the flourishing of great civilisations such as the Teotihuacano, Mexica or Tarascan, and a key correlation between their development and lake navigation systems has been systemically proven. 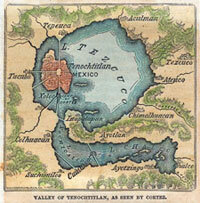 The city of Tenochtitlan was founded in 1325 by the Mexica on a small island within Lake Texcoco. 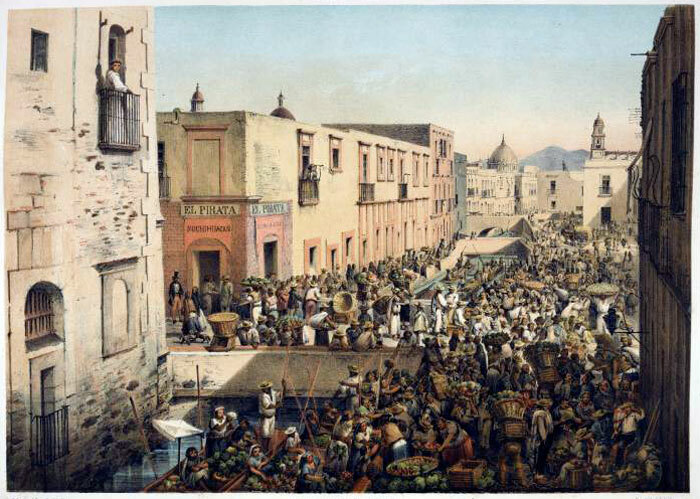 In order to establish themselves at the centre of the powerful empire later confronted by the Conquistadors, the city’s inhabitants had to learn to dominate their environment – to exploit it to economic, political and religious ends. 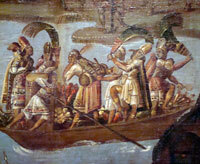 Not only did they take maximum advantage, like their contemporaries and like others before them, of one-man canoes carved from a single log of wood, but they developed complex technological systems in order to control their lakeside world, the supply of goods and the growth of towns and cities. 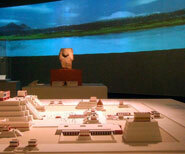 The Mexica soon shaped the environment to suit their needs and to consolidate their power. The major hydraulic works that they and their neighbours on the lakes of the Valley of Mexico engineered fulfilled different objectives. The first and best documented of these, was clearly to reclaim land from the water using the ingenious system of ‘chinampas’ and canals, artificial physical extensions of pre-existing islands. 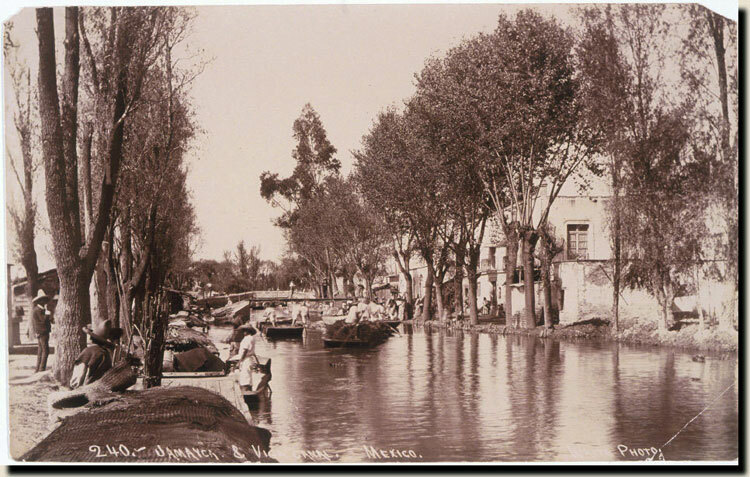 As is well known, the invention of chinampas is probably due to the inhabitants of Lakes Xochimilco and Chalco, in the south of the Mexico Basin, and was intended originally as a means of developing intensive agriculture. 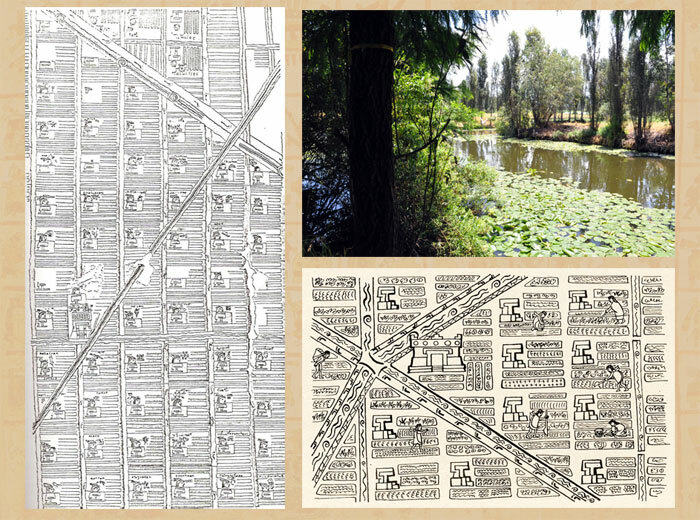 It’s worth remembering here something clearly shown in the Plano en papel de maguey, that the chinampas of Tenochtitlan served not only as an area of cultivated land but also as a residential zone, implying control over the dampness of the soil. The second objective of Mexica engineering was that of controlling the disastrous fluctuations in lake water levels, by constructing canals, dykes and even aqueducts - public works that also helped reduce the (previously high) saline [salt] levels in the water. The benefits that these environmental changes brought served to complement each other and needed daily maintenance, with the use of lake crafts and a large, well organized labour force. 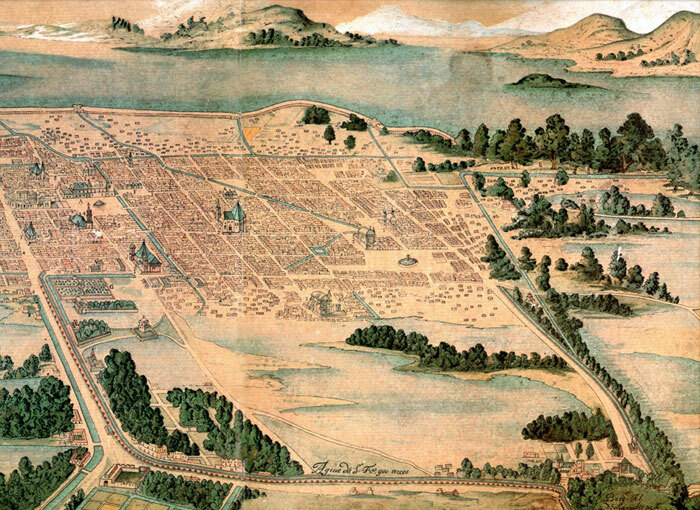 The canals of the island of Tenochtitlan, which earned the city the nickname Venice of the New World, criss-crossed the entire metropolis, creating a grid-like structure for the landscape and allowing fast communication both within and without the city. 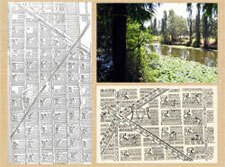 Thanks to the historian Edward Calnek and the architect Jorge González Aragón, we know that two grades of canals existed: regular ones that followed labyrinthine [maze-like] routes and which measured up to two metres in width, and main canals, facing East-West and measuring 3-5 metres in width. 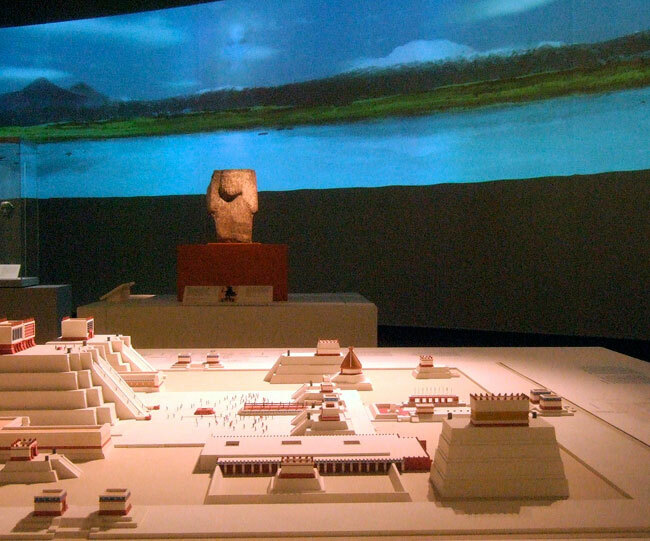 When we consider that the largest Aztec monoliths – such as the goddess Tlaltecuhtli weighing 12 tons and measuring 4.19 x 3.62 m – were transported on the lake, it stands to reason that some of the principal canals must have been at least 6 metres wide. 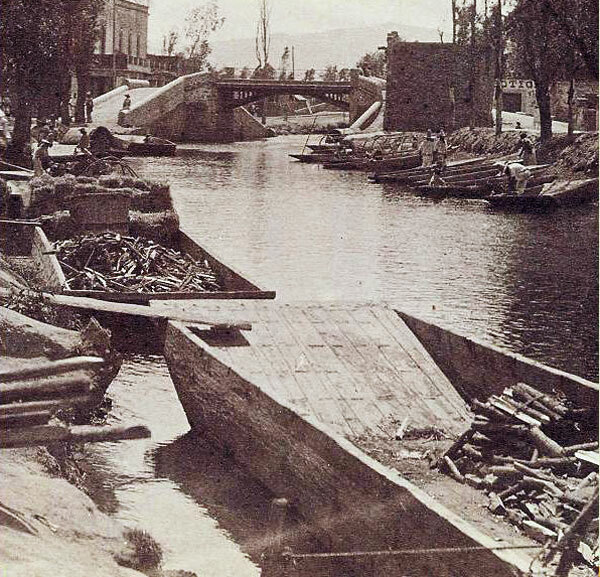 The main canals, epitomized by the famous Acequia Real (Royal Channel) that ran along the length of today’s Corregidora Avenue from Mexico City’s Historic Centre, were ideal for carrying large boats - employed as much for transporting tribute items to the palace of Moctezuma as for bearing religious monuments, and processional celebrants. By contrast the regular canals carried a large volume of smaller boats with their daily loads of passengers and goods. Of course we shouldn’t forget that a significant part of urban traffic took place on land, suggesting the existence of fixed and moveable bridges – a fact confirmed in the accounts of the Spanish defeat during the Sad Night. 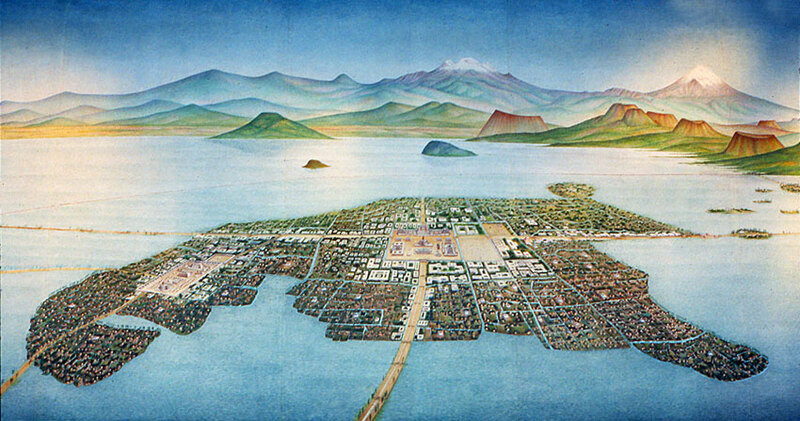 The broad and lengthy causeways connecting the island of Tenochtitlan with the mainland served several purposes: firstly, as a means of communication by land; secondly, they acted as dykes to hold the water at bay, and complemented the great stone levee-bridge constructed under the leadership of Nezahualcóyotl, the wise king of Texcoco. 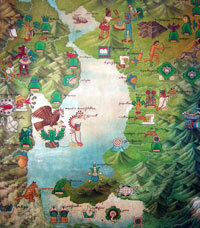 The three main causeways were those from Tepeyac (to the north), Tlacopan (to the west) and Iztapalapan (to the south). It’s worth noting that this last one was built by the Xochimilcas, clear proof of the political power of the Mexicas and of their influence over neighbouring peoples. A fourth, smaller, causeway was that of Chapultepec. 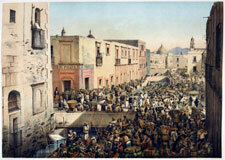 This uniquely carried the aqueduct constructed in the decade following 1420 and re-built on the orders of Nezahualcóyotl two decades later, supplying fresh water to the island city of Tenochtitlan, surrounded by salty water. In the construction of these great public works it’s obvious that single-man canoes played a key role, helping to ferry materials and every-day goods. Harbours: natural or artificial havens suitable for the (un)loading of cargo and (dis)embarkation of passengers by boat, and for the carrying out of maintenance. Quays: places suitable for loading goods and people. Port installations are in effect groupings of architectural structures that combine several complementary roles: custom points for the receipt and control of goods; warehouses and storage facilities; stalls and posts for buying and selling; jetties for the transfer of goods from dry land to lake transports, etc. The construction of these facilities requires both manpower and materials (wood, stone, lime, etc.). Unfortunately to date no archaeological remains exist of such facilities, making it harder to draw firm conclusions regarding their construction and purpose. 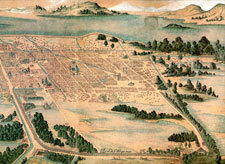 Given their importance to the Mexica economy and government, more archaeological work is badly needed in the search for port installations, several of which should be located at the periphery of Tenochtitlan and the surrounding lake shores. A quay is generally an impermanent construction requiring considerable space, with a jetty whose size would be relative to the breadth of the canal serving it and to the volume of goods passing through. The archaeologist Francisco González Rul identified two types of quay: stone and wooden. Remains of these have been found under the present Palacio Nacional. We also have descriptions of them in historical records from the 16th and 17th centuries, and litho-/photographs from the 19th and 20th centuries. 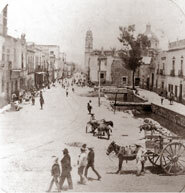 On the site of the famous pre-Hispanic and colonial quay (pic 10) on the corner of Alhóndiga Street and Corregidora Avenue stands today a stone bridge, evocative of Mexico City’s bygone lake-side past. 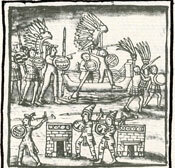 What’s interesting in these passages is the specific reference to places for the keeping and return of craft, and in particular those for ritual or military use, suggesting different types of lakeside storage facilities around the Basin of Mexico – for trade, for military purposes and for religious ceremonies. It would also imply different types of craft, for specific uses. We know, for example, that some vessels were of large dimensions, used in festivals to carry priests with their offerings, or the emperor and his court. According to historical sources, these boats were kitted out with benches and awnings to offer protection from the sun and the rain. 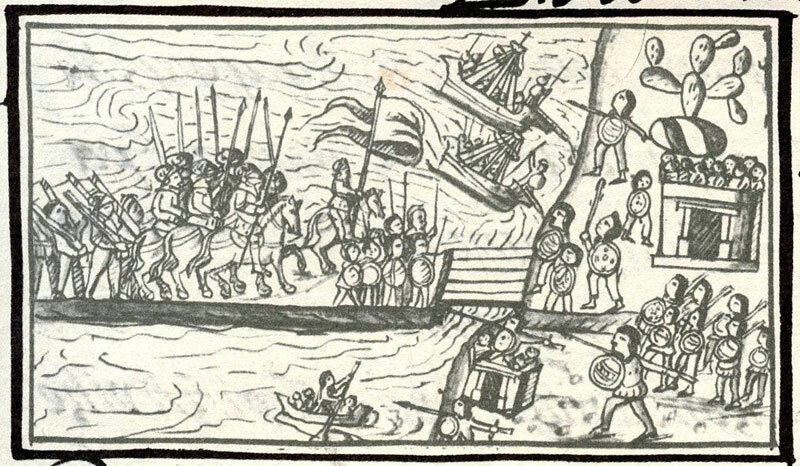 Finally we should also recall the probable existence of large vessels for military use, as mentioned in the accounts of the Noche Triste (Sad Night) and of the victorious sally of the Mexica against the Spanish at the beginning of the siege of the city. The simple fact that the Conquistadors had to build brigantines proves the critical role these were to play in achieving eventual control of the lakes. 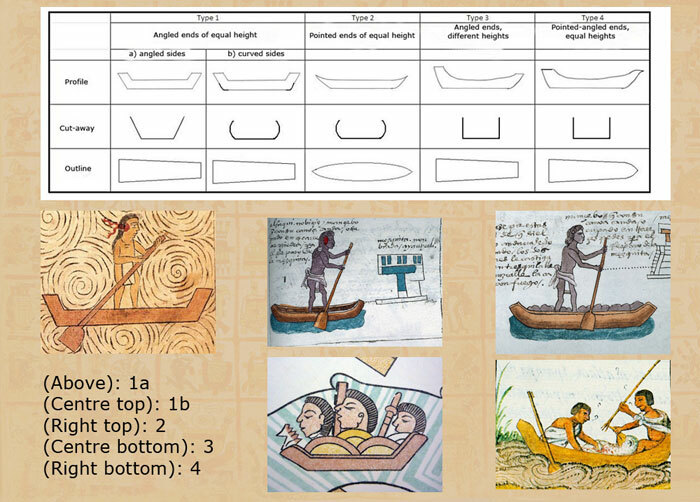 16th century sources tell us much about the vessels used by the Mexica and their neighbours, from the construction materials they used, through their shape and trim, to details such as their form of propulsion, carrying capacity and uses. 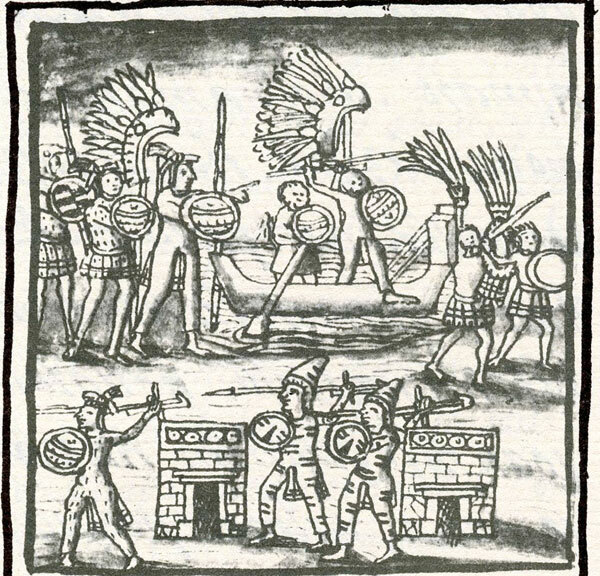 Careful analysis of the data suggests that, as in the case of the boats spotted by Columbus on the open seas, those of the Basin of Mexico were mainly one-man canoes. Total number of boats included in this typology: 63. Our own research shows that all vessels sported a flat bottom, perfectly adapted to lake use, allowing their crews to manoeuvre them easily and speedily. 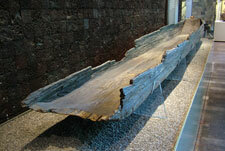 When it comes to archaeological remains, the only examples of pre-Hispanic boats from the Basin of Mexico found to date are a wooden one-man canoe on display in the Mexica Hall of the National Anthropology Museum (pic 15) and a miniature model found in Offering 41 of the Templo Mayor, though we know other similar examples have been found in other parts of Mesoamerica. 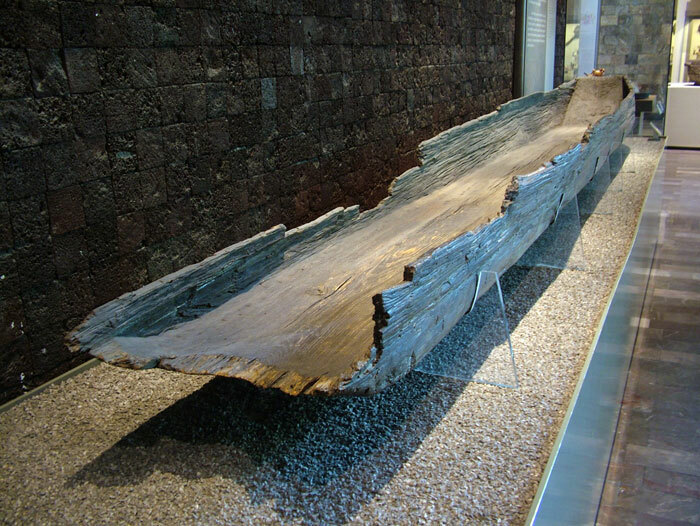 The single-person canoe in the Anthropology Museum was discovered in the 1960s along the Calzada de Tlalpan avenue; judging by its dimensions and load capacity we can estimate it was capable of carrying around a ton of weight – by our reckoning, after studying similar examples, a vessel able to transport a monolith as large as the Tlaltecuhtli figure. But this implies sufficient breadth, both of the canoe and of the canals along which it travelled. 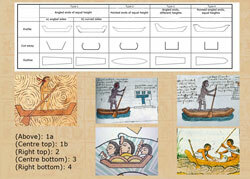 To the canoe typology we need to add one for the vital tools of propulsion. 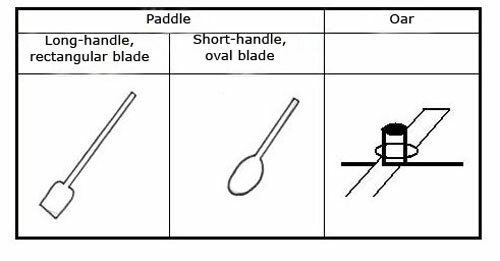 In the codices two different types of paddle are shown: one in the form of a long, broad spade, the other a heart-shaped spade. We should of course add mention of the pole, mentioned in the texts though not shown graphically. In conclusion, control of navigation and of the lake environment was essential for the inhabitants of the Basin in pre-Hispanic times, and vital in many respects for the Mexica. Single-person canoes were, without any doubt, the best proof of their adaptation to this geography, alongside the evidence for their prowess in hydraulic engineering. 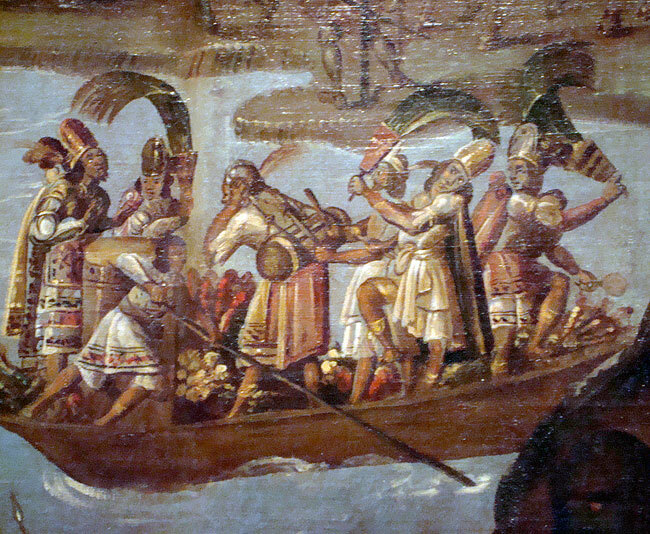 With the arrival of the Spanish and the ensuing technological, economic and political change, Mexica lake transport had to face a totally new challenge. • SANDERS, W. T. and Barbara J. 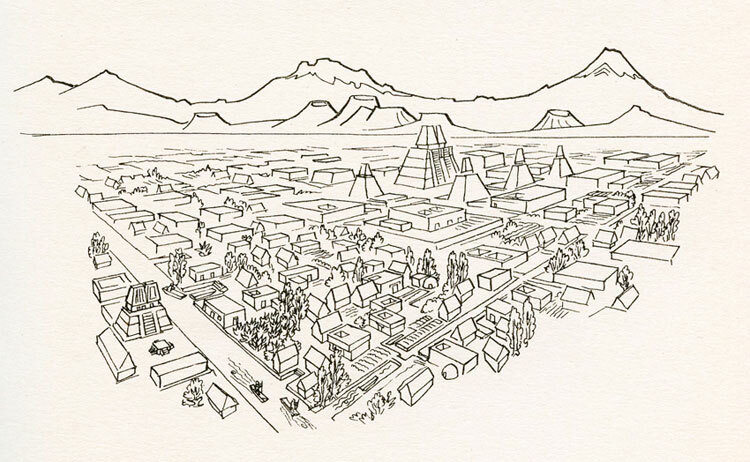 PRICE, Mesoamerica: the Evolution of a Civilisation, Random House, New York, 1968. 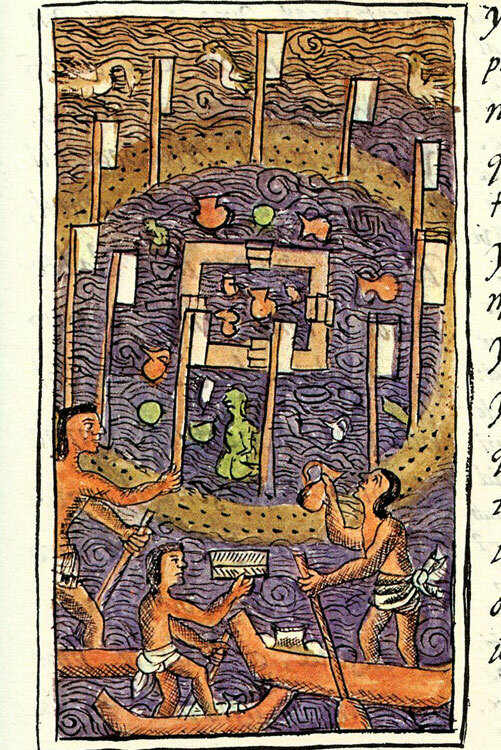 • Pic 14: graphic (top) supplied by Alex Biar; codex images from (L) Codex Azcatitlan fol. 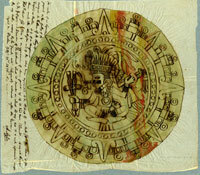 1, (centre bottom) Lienzo de Tlaxcala fol. 42 (both supplied by Alex Biar), (centre top & right top) Codex Mendoza fols. 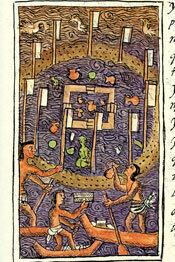 63 & 64 - images scanned from James Cooper Clark 1938 facsimile edition, (bottom R) image from the Florentine Codex Book XI (see above). Very good compilation of data and visuals. Congrats to the creators and administrators of webpage. Mexicolore replies: Many thanks, Jorge, for this positive feedback. It’s comments like yours that inspire us to keep going...!